Why collect fashion and movie photos? It’s a question I’ve been asking myself since I started working on Aenigma. In some ways it’s a tricky question for me to answer because I’m so in love with the subject that I struggle to understand how anyone could feel differently. So I’m going to make a big effort, do my best to be dispassionate and suggest why you might want to consider collecting in this area. Then I’ll talk a bit about how I came to do so. Easy to appreciate – You don’t have to be an art historian or a connoisseur to enjoy photographs of fashion models and movie stars. Most of the images look great, they make an instant impression and the best ones linger in the mind. Sometimes that’s because the image itself is startling. Sometimes it’s because of the story behind it – as turned out to be the case with a photo I bought a few years ago of Ava Gardner at a Halloween party. Print with a history. This photo of Anita Ekberg surrounded by press photographers was taken around 1959. It’s clearly been cropped and on the reverse are a plethora of stamps, annotations and stickers. Spirit of the age – What’s particularly great about film and fashion shots is that the subject matter is so ephemeral. So if you want to get a feel for a period (say the 1940s or the 1970s), looking at images from that era is one of the best ways of doing so. Think back to when you were in your teens, say, and what do you remember? It’s most likely ephemeral stuff like clothes, magazines, posters and music – things that change ever so quickly but that everyone just takes for granted at the time. 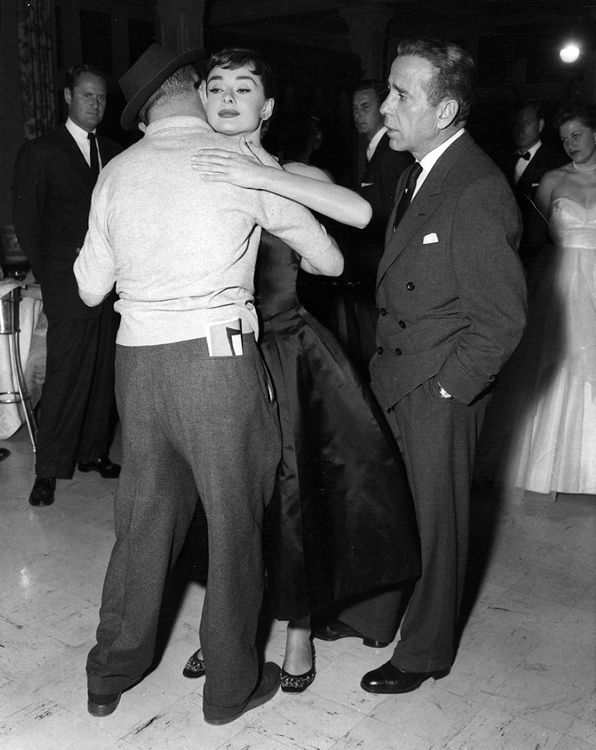 Photos from the worlds of fashion and film capture so many of those things. Art and commerce – To succeed in the world of fashion or film you have to have a strong commercial edge. But unless all you want to do is copy others, you also need creative flair. The same applies to the photography associated with the two worlds. Fashion and movie photos are where art and commerce meet, and that can lead to some really great images as well as a wonderful diversity. To get an impression of that diversity, take a look at a fashion magazine like Vogue or Harper’s and compare the advertising with the editorial photography. Or, in the case of Hollywood, contrast the iconic portraits by George Hurrell, Clarence Sinclair Bull and their contemporaries with the formulaic (but still rather fetching and undoubtedly accomplished) cheesecake pinups. Spoilt for choice – I’ve covered some aspects of this under art and commerce. Film and fashion photos come in many different flavours, from paparazzi shots of celebrities at one end of the spectrum to fine-art prints by leading photographers such as Irving Penn and Nick Knight at the other. They also come in a range of sizes. In my collection, one of the smallest photos is a contact print (a print made by placing a negative directly onto photographic paper) that measures just 64mm square; the biggest is a display board well over two-and-a-half metres high. As to budgets… You can still pick up nice vintage prints on eBay for as little as US $10–20 (they’re getting increasingly scarce at such knock-down prices, though). Go to one of the major auction houses and you can invest well over US $100,000 in a single image. A piece of history – This is up to you, but my main interest is in vintage prints, ie prints made within a few years of when the photo was originally taken. Usually that means in-house photos for editorial use or photos sent out by the film studios themselves or by press agencies for reproduction in magazines and newspapers. With their credits, copyright notices, captions and annotations, vintage prints are historical artefacts (albeit modest ones) in their own right with a story to tell. They are easy to post and store, which means you don’t have to spend a fortune on shipping, nor do you need a lot of space to keep them. You can fit a lot of photos in a single box or drawer! They’re great to have around. They can enhance a room and provide a great talking point. But be careful to keep them out of direct sunlight and preferably behind UV glass to minimise the risk of your photos fading. They can be a good investment, so if you buy wisely and have a bit of luck, you could end up with a collection worth a good deal more than you spent on it. But that’s a by-product, it’s certainly not guaranteed and absolutely should not be the main reason to start a collection. The truth is that in my case (and I’m sure I’m not unusual among collectors in this respect), collecting has been instinctive rather than rational. I didn’t sit down one day and make a conscious decision to start collecting. I bought my first photo – a shot of Jean Shrimpton on Tower Bridge – at a charity auction back in 1979. I’d recently begun to collect UK Vogue, Paris Vogue (the latter in particular for its editorial shoots by Guy Bourdin and Helmut Newton) and The Face (a British music, fashion and culture magazine). So acquiring an original photographic print was a natural progression. 1944. 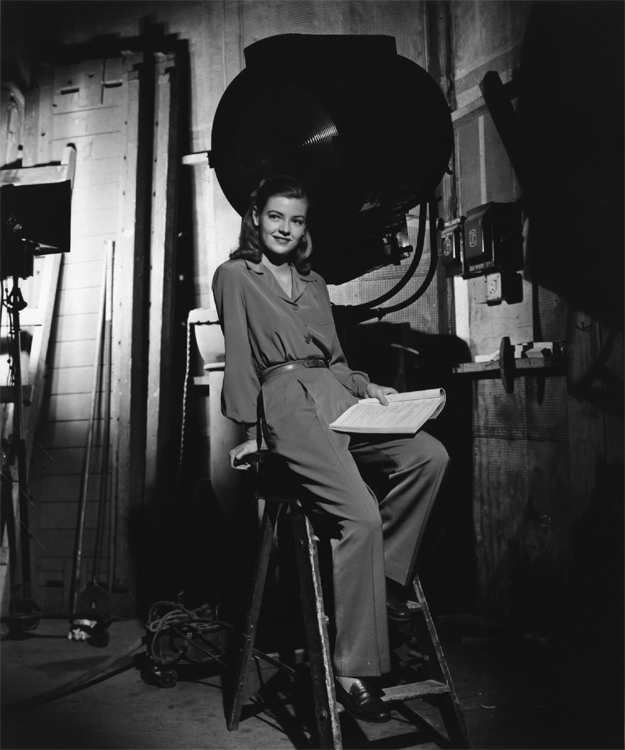 Peggy Lloyd at Columbia Studios during the filming of Cover Girl. 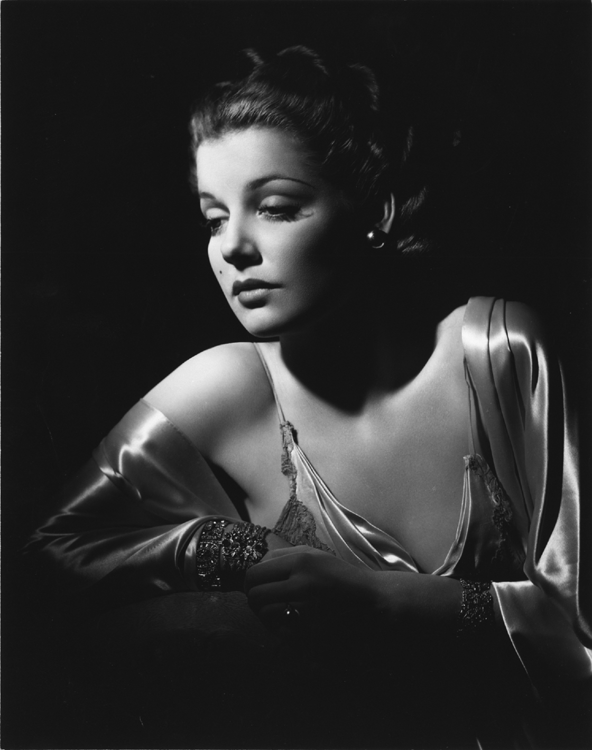 This photo by George Hurrell was my first eBay purchase and my first Hollywood image. Read more. In the years that followed, I kept an eye on photography sales at the London auction houses, visited exhibitions and made the occasional purchase. But acquisitions really were few and far between and tended to be relatively big-ticket items. Back in the ’80s and ’90s material was pretty thin on the ground in London. All that changed in 2000 when I made my first eBay purchase – a photo of Peggy Lloyd by George Hurrell. With the discovery of eBay, I found myself spoilt for choice and with the opportunity to acquire lots of fascinating low-ticket items. In those early days as people cleared out their attics there was a ridiculous amount of amazing material up for auction. The challenge was in sifting through it via a slow, dial-up modem and in putting in last-minute bids, which meant getting up in the middle of the night (I was living in London and most of the items I was interested in were in the US). There’s another reason why that photo of Peggy Lloyd turned out to be pivotal. Peggy represented Mademoiselle magazine in Columbia Pictures’ Cover Girl (1944). It’s about a girl who wins a contest and becomes a celebrated cover girl. It bridges the worlds of fashion and film. And that photo marked the point at which I started to collect stills distributed by the movie studios to complement the fashion shots I’d been buying up to then. My interests continued to evolve over time, broadening, deepening and changing focus as opportunities presented themselves. The rest, as they say, is history.